U.S. 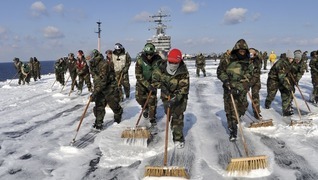 Sailors and Marines Allege Fukushima Radiation Sickness | Democracy Now! Three years have passed since the earthquake and tsunami that caused the nuclear disaster at the Fukushima Daiichi nuclear power plant in Japan. The tsunami’s immediate death toll was more than 15,000, with close to 3,000 still missing. Casualties are still mounting, though, both in Japan and much farther away. The impact of the Fukushima nuclear meltdown on health and the environment is severe, compounded daily as radioactive pollution continues to pour from the site, owned by the Tokyo Electric Power Company, TEPCO. Lt. Steve Simmons is one of the plaintiffs. Before Fukushima, he was physically robust. Eight months later, he suffered inexplicable health problems. 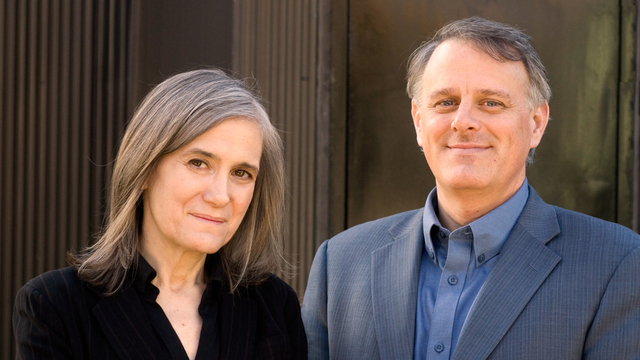 He said on the “Democracy Now!” news hour, that, while driving to work: “I blacked out and drove my truck up on a curb. Following that, I started coming down with what maybe I thought was just maybe a flu, started running fevers. I dropped about 20 to 25 pounds unexpectedly and then started experiencing night sweats, difficulty sleeping.” He was hospitalized three times. Doctors dismissed his concerns about possible radiation poisoning. “Three days later, after I was discharged, I was back in the hospital because my lymph nodes started swelling, and still running constant fevers as high as 102.9.” In April 2012, his legs buckled under him while he was hospitalized. He has relied on a wheelchair ever since. He will be allowed to “medically retire” this coming April. This is the second attempt to sue TEPCO on behalf of these sailors and Marines. The first lawsuit had eight plaintiffs and was dismissed for technical reasons based on the court’s lack of jurisdiction. “By June of 2013, we had 51 sailors and Marines who had contacted us with various illnesses,” lead attorney Charles Bonner explained, “including thyroid cancers, testicular cancers, brain cancers, unusual uterine problems, excessive uterine bleeding, all kinds of gynecological problems, problems that you do not see in a population of 20-year-olds, 22-year-olds, 23-year-olds, even 35-year-olds. … So, now we have filed a class action for approximately a hundred sailors.” As news of the lawsuit spreads, many more will likely join in. The U.S.S. Reagan had at least 5,500 people on board when off the coast of Japan. I interviewed Naoto Kan in his offices in Tokyo last January. He was the prime minister of Japan at the time of the disaster. Kan immediately set up a control center to manage the nuclear crisis. Present at the center was a TEPCO executive. Kan told me, “From what I was hearing from the headquarters of TEPCO, and in particular from Mr. Takeguro, who was the former vice president, was, almost no accurate information was being conveyed about what was actually the situation on site.” Frustrated with the stonewalling, Kan flew to the plant to discuss the situation with workers on site. Once staunchly pro-nuclear, Kan now advocates for a nuclear-free Japan. The ongoing nuclear disaster at Fukushima should serve as a warning to the world. Instead of following the wisdom of Naoto Kan, President Barack Obama is committing public funds to build the first new nuclear power plants in the United States in more than 30 years. In the wake of Fukushima, Obama’s Nuclear Regulatory Commission put out talking points designed to diminish growing public concern with the safety of nuclear power plants in the U.S. NBC News obtained the NRC’s internal emails instructing staff to downplay safety risks. U.S. nuclear plants are not safe. The U.S. sailors and Marines of Operation Tomodachi deserve their day in court. The U.S. public deserves an honest assessment of the grave risks of nuclear power.